This location offers convenience near the schools, parks and downtown Park Falls on a fully landscaped lot with a deck and private back yard with firepit. If you love to tink there is a 2 car detached garage with a heated workshop. Once inside, you will love the cozy feel! The spacious kitchen has oak cabinets and a breakfast bar, and the living room has a picture window that lets the sun pour in. There are three bedrooms on the main level, with a full bath, and the lower level has a bonus room as well as full bath and spacious family room with wet bar. 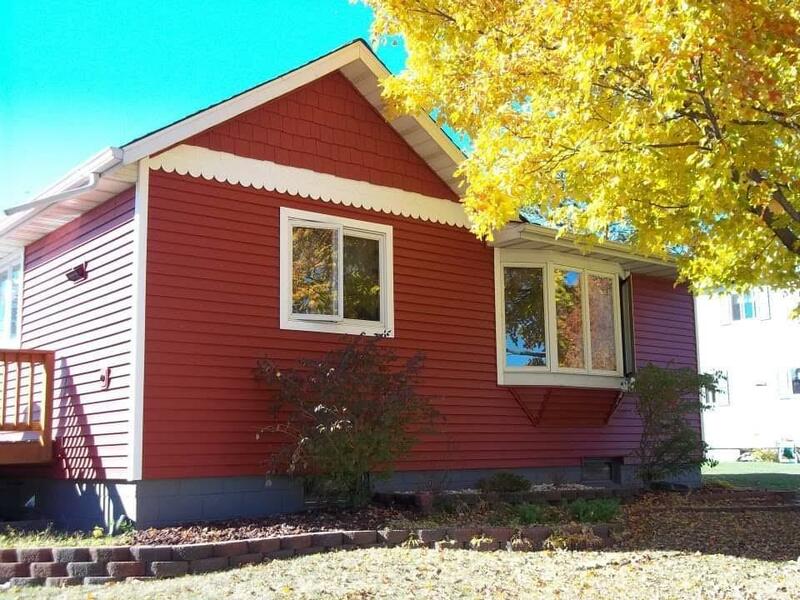 This home has been well maintained and some of the recent improvements include: newer roof on garage and home; seamless gutters on home; newer vinyl siding; newly stained deck with cedar railings; and fully landscaped lot with cedar fencing. The alley provides easy, safe access and there is a blacktop drive with concrete steps and stone retaining wall. This home is priced to move quickly so call today for your private tour!